Just in time for the summer season a group of Croatian gastronomes and foodies has ranked 100 of the best restaurants in Croatia. The Dobri restorani (good restaurants) list is like a Bible to food-loving Croatians (which is to say, all Croatians) and the 2016 results are out. The top honor goes to Pelegrini in Sibenik for the second year in a row. Naturally chef Rudolf Stefan won Best Chef 2016 as well. The Mediterranean-style food is accompanied by a world-class wine cellar and served in a beautiful setting right next to Sibenik’s famed Cathedral. Next in line is old-time favorite Dubravkin put (facebook.com/dubravkin.put) in Zagreb. Indeed, to really experience the best of Croatian food, there’s no place like the capital where 31 restaurants are among the top 100. After Zagreb, Istria is a gourmet delight. Rent a car and explore the small towns and villages where the Istrian culinary tradition is kept alive. 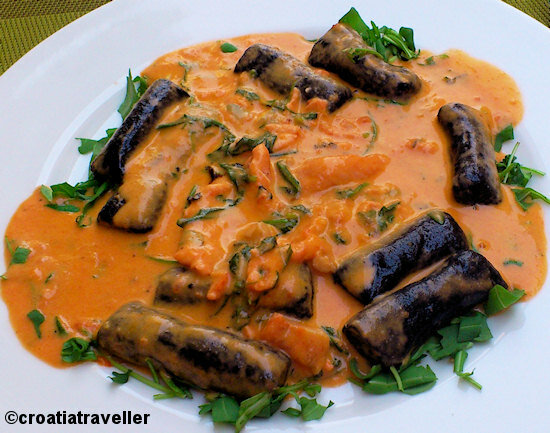 See my Istrian restaurant guide. 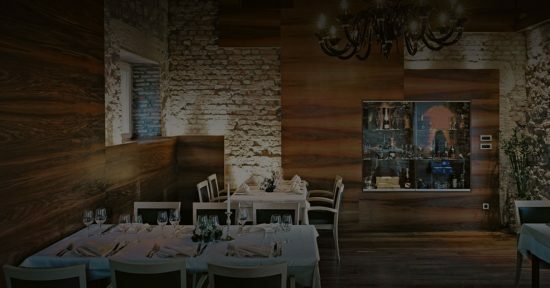 Below is a list of the top 100 Croatian restaurants, grouped by location and beginning with their place on the list. Is the dining really that good in Zagreb? Umm, yes. I’ve never had a bad meal in Zagreb. The standards are high, the service is friendly and prices are reasonable. See my Zagreb restaurant guide. 41. Zinfandel’s is in the Hotel Esplanade, one of Europe’s finest. On the northeastern corner of the Istrian peninsula, Opatija doesn’t have a lot of restaurants but what it has are good. Volosko is the next town over, practically within walking distance. This town is 90km north of Zagreb. Novigrad is one of Istria‘s most fetching seaside towns and a good alternative to busy Rovinj. Rovinj is a favorite destination for visiting Italians due to its easy transport to Italy and its excellent cuisine. 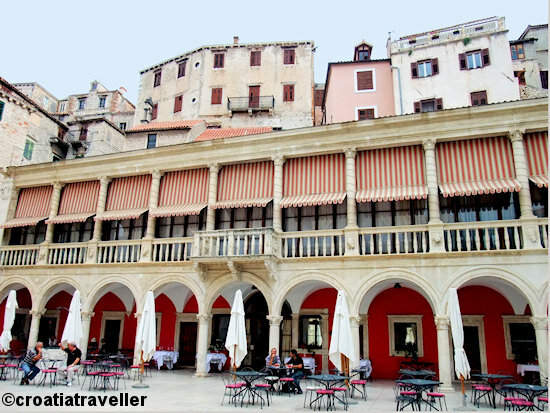 Split is a great base for exploring the islands and sampling some wonderful Dalmatian cuisine. See my Split restaurant guide. Ancient but dynamic, Zadar is brimming with things to see and do with plenty of restaurants at every level to fuel up in style. See my Zadar restaurant guide. Novalja is known as party central on Pag island but it’s good to know you can eat well after a night dancing on Zrce beach. 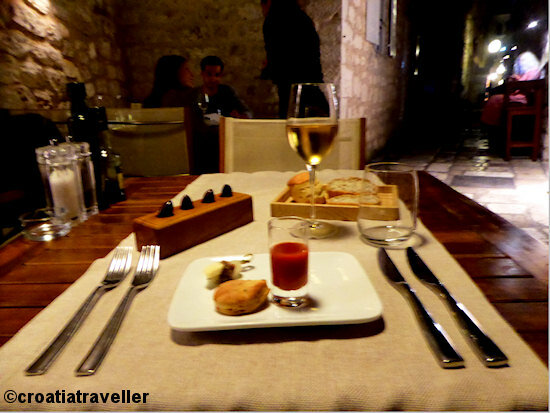 As Croatia’s top highlight, there should be more top class restaurants in Dubrovnik. Slowly but surely the restaurant scene has been improving in recent years though. See my Dubrovnik restaurant and dining guide. On Istria’s northwest corner, Umag is a major resort destination. Even though most hotels have restaurants, you’ll eat better at these places. This restaurant is in Slavonia where the food is completely different from the rest of the country and strongly influenced by its Hungarian roots. See more about Slavonian cuisine. Just outside Opatija, Lovran is a small and highly attractive village. To sample the best of spicy Slavonian cuisine, it’s best to head to Osijek. Best known for its proximity to the Kornati Islands National Park, it’s good to know you can also eat well on Murter island. Kastav is an easy drive from both Opatija and Rijeka. 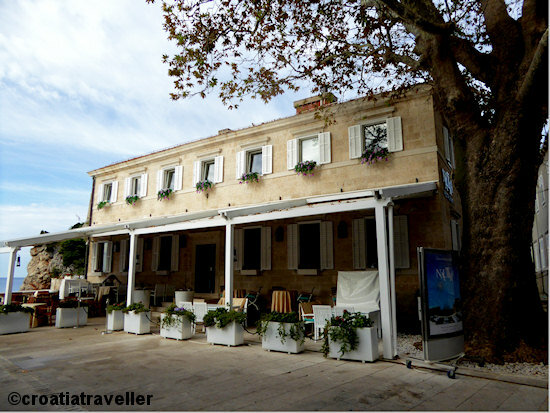 Glamorous Hvar town is where you eat best on Hvar island. 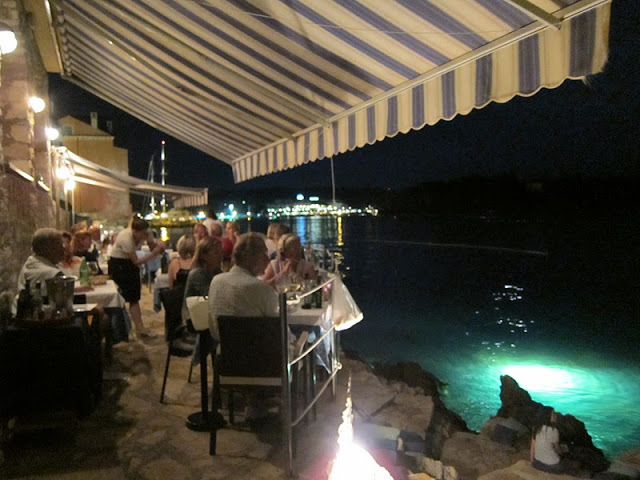 See my Hvar restaurant guide. It’s surprising that Krk island has only one top restaurant, especially given the quality of wine coming out of Vrbnik. Here’s where to eat after you emerge from the sulfurous waters of the Krapinske Toplice thermal spa. If you’re going to Samobor outside Zagreb, stop off and eat in the village of Otrusevec. Just outside Split and on the way to Salona and Trogir is the historic village of Stobrec. Makarska is an easy day trip from Split. North of Zagreb, Lepajci is in beautiful Krapinje-Zagorje county. For local cooking and excellent wine on Vis island, you can’t do better than this restaurant in Vis town. Croatia’s capital was once in Varazdin which explains the beautiful baroque buildings. Karlovac is more than just a stopover on the way to the coast. It’s also a major centre for watersports. Marija Bistrica is a major site for religious pilgrims. Known for its spectacular Roman amphitheatre, Pula also has a vibrant dining scene. See my Pula restaurant guide. Visitors flock to Porec to see the Euphrasian Basilica, a World Heritage Site but there are a few good restaurants as well. On your way into or out of Zadar, stop in Vinjerac village for a good meal. The hilltop village of Bale is worth a look for its narrow, winding streets as well as an excellent restaurant. A number of excellent resorts surround the traditional fishing village of Savudrija. Bustling Rijeka is Croatia’s most important port. Why there aren’t more good restaurants has always puzzled me. At least Opatija is right nearby. Visiting the Brijuni Islands from Fazana? Stop here for a bite to eat. Ston and Mali Ston are known for the superb and fresh seafood. Stop here on a drive from Dubrovnik to the Peljesac peninsula. Hungry after visiting Krka Waterfalls National Park. Stop in Skradin for a nice meal.